Second grader Imogen Nowak thought her dad was still deployed overseas when she was giving a talk about helping the troops at her school. 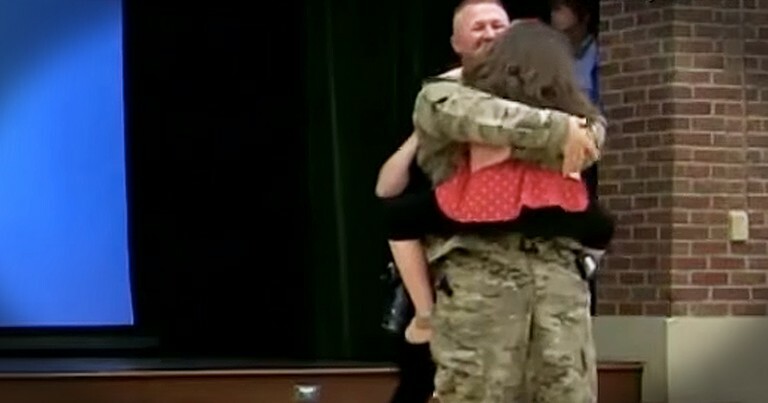 So imagine her surprise when her military father, Erik Nowak, returned home early just to surprise her during her presentation. Her joy is priceless! Just look at this beautiful reunion!